The X1 Racing League, the brainchild of Aditya Patel and Armaan Ebrahim, that is set to begin in October 2019 has entered a commercial rights partnership with the Federation of Motor Sports Clubs of India (FMSCI). The deal ensures that the X1, or Xtreme 1 Racing League, now holds the rights to "sponsorship, broadcasting, advertising, intellectual property, franchising and new league rights, amongst others exclusively for city-based 4W racing events and/or competitions in league format" as per a press release issued by the series. The move is meant to ensure operational stability, and a return on investment for the league and the investors, team owners, broadcasters and sponsors. In order to help strategise and establish the league structure, global sports and entertainment agency, Wasserman has been put in charge of media rights sales and monetising commercial rights. The group typically works with sports and entertainment properties to develop and execute corporate sponsorship strategies. As of now, the X1 Racing league is meant to feature eight teams, each consisting of four drivers (including one international male and one international female driver). The races are meant to be held on a mix of venues, both racetracks and street tracks, with a whole host of support events like RC car races and the like. The season is meant to last six months in a year. Speaking of the tie up between the FMSCI and the X1 Racing League, Rajan Syal, general secretary of the FMSCI said, "This is another important milestone in motorsports, not just in India, but globally. We wish X1 Racing all the success. We are bullish about what the young entrepreneurs of X1 have in-store, and their intent to provide equal opportunities and empower women in racing shows the maturity of their vision, which the FMSCI is happy to endorse." Meanwhile, Aditya Patel, co-founder, X1 Racing said, "The dynamism of FMSCI and its member clubs have enabled the growth of motorsports in India over several decades, and we are very proud today having signed this landmark agreement. We thank the FMSCI for their support of the league and backing our vision." 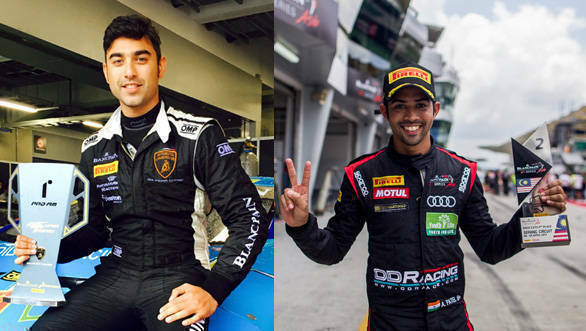 Armaan Ebrahim, co-founder, X1 Racing said, "We had extensively scouted for the right partner to manage the commercial rights, both from India and overseas, and felt that Wasserman would be the best suited to help us become a household name in motorsports. We are excited to start the league in 2019 and make India a global motorsports destination and create a platform for the future superstars in motorsports."